When you boil chickpeas (a.k.a. garbanzo beans), particularly soaked chickpeas, you’ll notice that a sizeable layer of foam forms along the top of the water. You can even find some of this foam in many canned chickpeas. So what is it? Can you eat it? Is it nutritious? And other questions probably came to mind. I’ll answer them as simply as possible here. Why Do Chickpeas Foam, and What is it? The foam itself is usually called Aquafaba, and it can be used in many vegan recipes because it shares a lot of cooking properties with egg whites. While chickpeas are cooking, they release a combination of proteins, carbohydrates, and saponins, which turn into a white foam (also called “scum”). Saponins are a type of soapy chemical (safe to eat in this case) that collect at the top liquid-air boundary, and foam up under the right conditions. The unique combination of protein and carbohydrates that get released help thicken it up even more. Should I Remove the Aquafaba Foam? As that foamy layer appears while cooking, the next question is should you remove it or not. If it looks like it’s going to spill over you should, otherwise there’s no need to. As you drain and rinse the chickpeas afterwards, the aquafaba will dissolve into the rest of the water and drain away. However, you may want to scoop some out beforehand to use in other recipes. 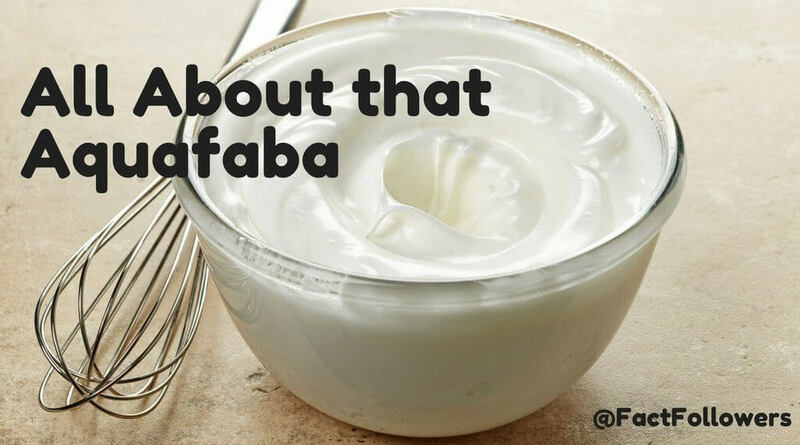 What Can You Cook With Aquafaba? You can store aquafaba for about a week in the fridge. It may lose it’s fluffiness, but you can use a whisk to bring it back. You can also use it in its typical liquid form as an egg substitute (3 tablespoons of aquafaba for every egg). When you use aquafaba in a recipe, it doesn’t take “beany” at all. It doesn’t have too much of a flavor (other than the flavor from other ingredients you add), and the taste really comes from the texture. Are Garbanzo Beans the Same as Chickpeas?